Senior Airman Dustin Gillespie (left) and Staff Sgt. 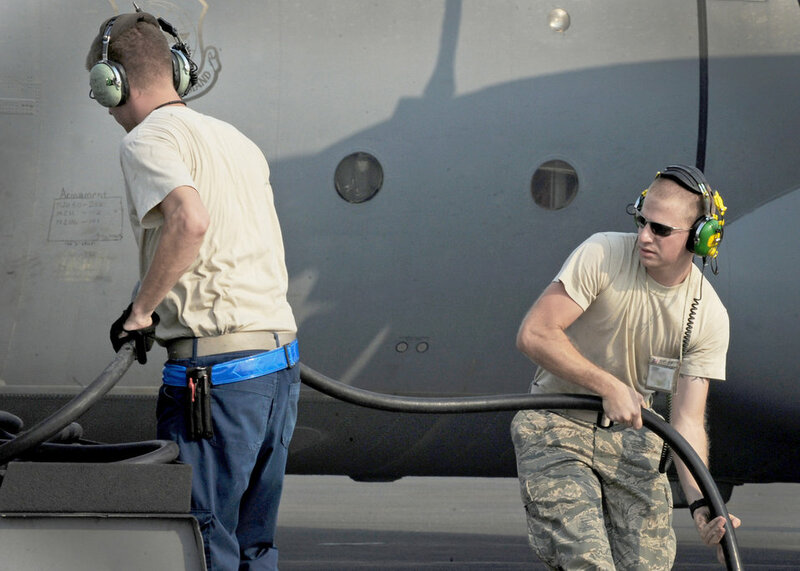 Anthony Anderson stow an aircraft power cord in preparation for the launch of a C-130E Hercules Aug. 11, 2010, at an air base in Southwest Asia. Airman Gillespie is a crew chief and Sergeant Anderson is a propulsion craftsman with the 386th Expeditionary Aircraft Maintenance Squadron.